I’m not going to cry…I’m not going to cry…I’m not going to cry. And I didn’t. Or at least not for the first five minutes after hearing she was pregnant. Again. And with her fourth. But despite my best efforts to pull myself together, the tears poured out of me and the despicable ugly cry came. You know the cry ladies. It’s a recipe of alligator tears mixed with snot everywhere, while your face is beat red and you make horrible facial expressions all while trying to not hyperventilate. Like I said, it’s ugly. And I wasn’t prepared for it. Because most days, walking through infertility isn’t so hard for me anymore. It was something I thought I had come to peace with and had faith to believe would change. At least one day it would. And I thought it was something that no longer made me jealous of others. Or envious of what they had or bitter for what I didn’t. I thought I was beyond the place of comparison. And beyond the stage of being angry at God or even myself. I thought I was no longer embarrassed of my situation. Or had the feelings of being a leper, an outcast and different from other women and family’s. And I thought I was passed that struggle of shame. But on that day, the grief, the shame, the anger, the bitterness, the envy, the guilt and the embarrassment that infertility brings, came down on me like an unexpected afternoon rain storm. And the lessons I had learned about trusting in His purpose and not in my plan, were washed away. And the confidence I had that one day my circumstances would change, had vanished. I no longer felt secure in His arms. Instead, I felt unworthy and overlooked. Even completely forgotten. Because why does she get babies and I don’t? And why were her prayers answered and mine ignored? So as I threw myself on the bed, wiped my tears (and snot) on my husbands pillow and stared out of the window, I silently wondered if it was time to wave the white flag. Time to just stop praying. And pleading. And asking. Because maybe my prayers for a child didn’t really matter. Perhaps not having my own biological child is my lot in life and something I need to just accept. Maybe my dreams are just that, dreams. And the desires of my heart? Well…not His. Because why else would my prayers continually go unanswered? And the desires of my heart year after year unfulfilled? And so with tears falling, I decided to go ahead and pour out my heart to Him anyway. I asked Him a lot of questions just to ask them. I even clenched my fists and pounded the pillow like a five-year-old as I told Him how I felt without holding back. I told Him about the anger and doubt I had towards Him. I confessed my bitterness and envy that I harbored towards her. And I pleaded, perhaps for the last time, for Him to hear me and open my womb. And when the words finally ran out, and the tears started to dry, hope whispered in my ear and somehow, I was reminded of her. I was reminded of Hannah from 1 Samuel 1. Ahhh how comforting she was to me in that moment because she understood my pain. She knew what it was like to look ridiculously crazy and downright ugly while her heart cried. She knew what it was like to see someone so close to her, another wife of her husband, experience the joys of children that she had been longing for. She knew what it felt like to feel forgotten. To always feel overlooked. Shamed. And forgotten. She knew what it was like to be me. And how frustrating it was to pray…and pray…and pray…with no results. But she also knew the rewards of never letting go of hope. Or giving up on her prayers. Because after years of crying out to the Lord, it was that one prayer she prayed in the temple that changed the course of her life forever. It was the one prayer that ended her barrenness and birthed a champion. It was that one prayer. So while I haven’t experienced a breakthrough in my own struggles, or received an answer to my prayers, I won’t give up on them. I won’t stop bringing my requests before Him in confidence that they do matter. And friend, neither should you. Because it wasn’t just Hannah’s prayer that He heard. It wasn’t just her prayers that mattered to Him. Because Genesis 25:21 says that after Isaac prayed pleading prayers to the Lord on behalf of his barren wife Rebekah, she conceived twins. And in Luke Chapter One when the angel Gabriel approached Zechariah while in the temple, he told him that the Lord had heard their prayers and his barren wife Elizabeth would soon conceive a son. Friends, I don’t know what it is that you have been specifically praying for, but don’t let the time you have been waiting stop you from pouring your heart out to Him. Don’t let it keep you from bringing your requests and placing them at His feet day after day. Or let the delay in an answer cause you to think He isn’t listening. Because that one prayer you prayed a few nights ago, this morning, or maybe just now, mattered. They all matter. Because friend, you are His precious child. And what matters to you, matters to Him. Thanks love! This episode happened about a month or so ago but it just takes me a bit to write it out and process it, ya know? I wish I could give you a hug and cry with you. I feel like I’m always sending you songs, but maybe it’s for a reason. I don’t even know if you like music! But once again, I started to write you, and a song I haven’t heard in years and years came into my mind. “The Warrior is a Child,” by Twila Paris. Your testimony, Elisha, is not in your strength, but in the fact that you know Who it is who keeps you. That is what you share with others. It’s something you can only share by baring yourself, and you do it well. You point others to Him well. I hope you feel His Presence in a very special way tonight. Some nights feel darker than others. Oh, honey. I wish I could give you the biggest hug right now, sit with you on the couch with a big tub of ice cream and just cry. I so understand your pain. Thank you. I don’t know what else to say. So…just…thank you. I cried reading this, and prayed for my own little miracle to come. Most of the time in the last year, I feel pretty strong in my faith regarding this journey, but I’m caught off guard every now and then. But it’s always a time when God’s mercy seems the most evident and He uses it to draw me closer to Him. Love you girl, xoxo! i could very well have written these EXACT words nearly two weeks ago. EXACT. Nearly the same situation – the exact same response–except I also tried to run away from it all for a few days–literally got in my car, pointed it west, and drove and drove and drove–almost like I was trying to escape reality, escape God’s whispers because his answer wasn’t what I wanted to hear, escape everything. But God blessed me with two dear friends that listened and cried and prayed with me and convinced me to turn my car and heart home. I’d love to say that I feel better, but I don’t–not completely. I still want to dissolve into tears many times in a day. But then I am reminded that pain is holy ground. God hasn’t changed. My circumstances cannot rob me of my joy of being Christ’s beloved. Only my attitude and spirit can do that. Thank you for your honesty and transparency and putting to words all that is in my heart. Lord, in Your great mercy, hear her prayers. You’re welcome. I was so moved by those words. I am so sorry Elisha. It’s not often I use the words “I understand” because no-one ever really understands, but tonight I’m going to say it. I understand. We just got home from dinner with a friends, she’s pregnant. We didn’t see this one coming, we weren’t prepared for it, and somehow that always makes it worse. I have so many thoughts running through my head which all lead me to one conclusion, clearly I am not over it. And I kid you not, this is exactly what I said to Mr. MPB as we retreated to the safety of our car “envious of what they have and bitter for what we don’t” and what we will never have. Seriously, word for word what I said, just in the present tense instead of the past as you wrote. Wishing you peace and love and support through this. If tonight has thought me one thing, it is that no matter how good the good days are, the bad moments still happen and we just have to keep moving forward through them. Love to you my friend. 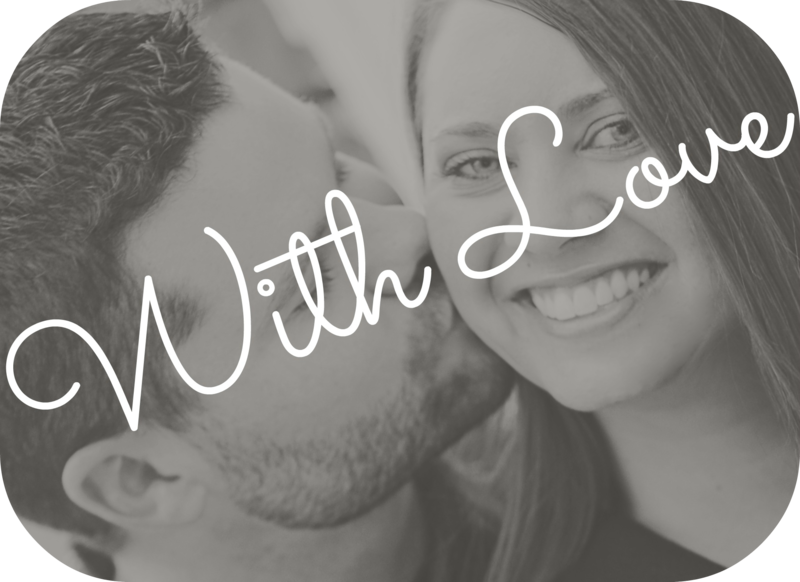 I’ve never been able to tell my story because I could never find the words, but this blog just lays my whole heart out. Oh, dear friend! I remember so well how this felt. Around the time of our season of waiting, there was this one acquaintance who steadily conceived and birthed babies…SEVEN of them, to be exact. Oh, how I struggled! 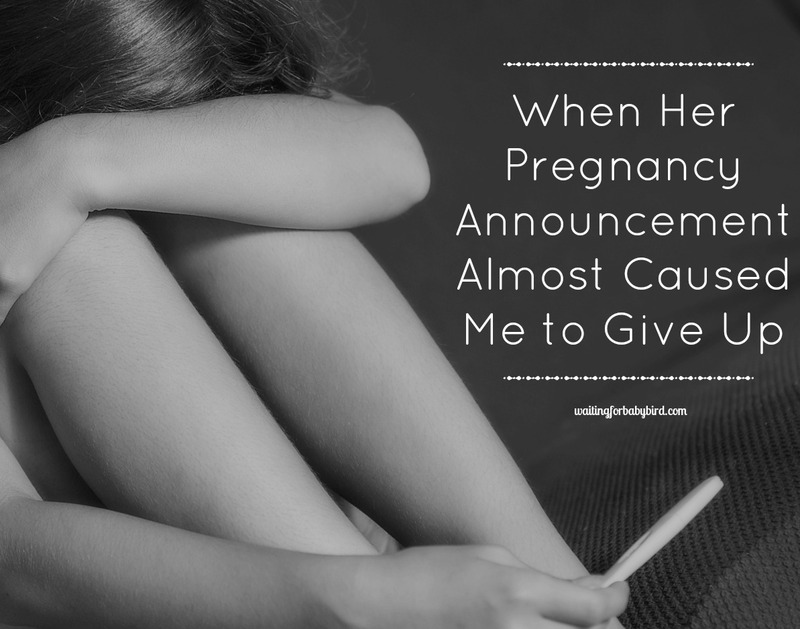 Each time, she made her latest pregnancy known, I cringed and fought bitterness, resentment, and anger…both towards her…and the dear Lord. What made it worse is that she was extremely overbearing and seemed to posses such a high opinion of herself and her ample fertility. After God miraculously opened my barren womb and sent us a son, she even came to our house soon after he was born and made it a point to let me know I didn’t do things “the way she did”, making me feel so inadequate and “less than” her and her self-perceived “perfection”. Oh, my….what an ordeal!! Going through that process with her, repeatedly, taught me so much….mostly how NOT to act and how to be more sensitive to the feelings and hurts of others. You have so much compassion, love, empathy, and understanding for others, Elisha. God is using your pain in so many wonderful ways. I know that doesn’t make it easier to get through, but I hope it encourages you to know that. Sending you big hugs and praying for you often! I hate those tough days. They take you by surprise and bring you to your knees. Glad to hear you are feeling better now. Wishing you all the best! I have read it 🙂 I did like that book, but not as much as I loved “God’s Plan for Pregnancy” and “Pregnant with Hope” I really, really like those! Have you checked out those any? Or the devotional called “A Seed of Hope”? I love that one too! Reblogged this on Facing the Giants, a blog about pinkcupcakefrog. I lived this for over 25 years. My prayers changed to “please take the desire away…quit playing games with me”….can you imagine saying that to the Creator of the Universe!!? If I had it to do over again I would have taken adoption more seriously years earilier. I say that but in the same breath think that then I might have missed out on the precious baby boy laid in my arms after all hope had been lost. I wanted that whole, looking into my babies face and seeing my husbands nose, my eyes, my dad’s chin…..but you know…looking into my little mans face I see the most precious and miraclulous answer to prayer. He is every bit ours though he didn’t come from our flesh. Take every avenue you can, never give up hope and wait for the miracle….it will happen!! Thank you so much! Everyone has different paths and right now, we just don’t feel called or led to adoption. I know that maybe one day those thoughts or feelings or desires will change though and we are open to that. Your story is so inspiring and encouraging!! Thank you for sharing this. You are a beautiful being and i say this because i can feel it through your words. It is okay to feel broken and overlooked, but never lose faith. God always has a plan, he never ceases to listen, and he can see every step you’re taking! You are a strong being and i respect for what you have written! And one day, i pray, these tears will become those of joy. I pray that God will give you what you’ve been praying for all those years. Thank you for reminding me that God is always holding my hand throughout. Some days are just so hard. Especially when something comes up and we just can’t avoid getting upset. You are such an example of strength! You should be proud of yourself. Big big hug. I read this blog and I thought of you. God is with you, always. I know each letter of this prayer that you made. I know each feeling that you felt. When I heard about friends of mine that was getting pregnant, I prayed the same prayer over and over again. Each situation is different, but mine goes not only to have problems to naturally conceive, but conceiving and losing three babies, and now being a happy mother of one ( of many attempts) successful IVF treatment that resulted in a one happy boy. And desire to conceive as soon as possible because my age and of my hubby, they say we’re too old to be parents again. These are the most painful prayers I ever knew. Thanks to share my what was in my heart through this prayer! Since last year I painfully decided to called those women that are mothers of many babies BLESSED. Is that easy? NOT AT ALL. I think we can ALL relate to this, because anyone in our shoes who had any size network of friends will always have people around them getting pregnant – it’s crazy how sometimes it doesn’t bother us/me and some days it just hurts so hard! Thanks for being real with all of us on how you felt – Sometimes the crying feels so good to get out! I know I have had days like this too, when you feel forgotten or alone . It is so comforting to know that even in those ugly cry moments we are never alone and while we pound out fists and feel overwhelmed by confusion and sadness…He is still there planning something better than we can imagine. So hard to remember that in those moments. But still so true. Prayers for you! Biggest of hugs to you sweet friend!! Sometimes, I feel like this. She explains so very well. HUGS HUGS HUGS. Wish we lived closer so I could give you a real one. Ahhh you are so sweet and I would totally love that!! Such a beautiful post! Thank you for your vulnerability…I think this is something many can relate to, not just those struggling with infertility. I’m not saying that I understand exactly what you are going through (since this is not something I’ve personally struggled with), but I know how easy it is to fall into the pit of jealousy when we see others excel in the areas of our passion, or when others receive their hearts desire and we are left standing in the dust. It can be so hard. And those emotions you had are understandable – way to go for still bringing those feelings to Him when everything in your flesh would just tell you to give up. Yes it’s so hard to process sometimes and even harder with a chatty four year old. Lol! (Our foster child). I am finding it harder to so down and type lately or even find time to process my thoughts which can be dangerous…cause then they build up. Yikes! One thing that occurred to me when I read this is that He may not respond to everyone’s plea the same. It doesn’t mean you’ve been overlooked. The answer may be “not now” and “I have something better for you”. You said you prayed for a biological child. So did I and that is not what the Lord have me. But I believe this little boy that I’m carrying is my son. He will make me a mother and that is the answer to my prayers. It didn’t happen for almost six years and it doesn’t look the way I thought it would. In other words, he did not answer my prayers for a biological child….because He knew what was better for me. Sometimes I think we forget that part. Thank-you so much for being brave enough to share your journey publicly. I feel like I have to keep mine private, but it is so encouraging to hear from others on the journey. I understand exactly how you felt that day. It’s true that Satan seems to attack us where we are most vulnerable. It is hard to understand why God has us on the journey we are on. Thanks.